Posted by Grace on April 26, 2013; This entry is filed under Natural Grace Therapies. I do enjoy my work as a massage therapist but like everyone else I need some downtime. I wanted to share with you some of the things that I enjoy doing when I am not busy working. I am a real music lover and still own a record player and vinyl records. I also have cds but I have not yet progressed to the new technology of owning an ipod! There is nothing like going through my collection and getting lost in music for hours. 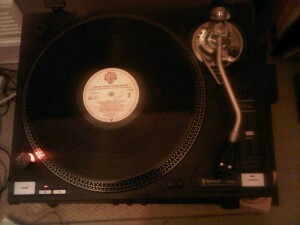 I still prefer vinyl because I can hear the different layers of music which is sometimes missing from modern music. The music I enjoy soul, funk and jazz. As well as enjoying listening to music at home, I also love going to concerts. 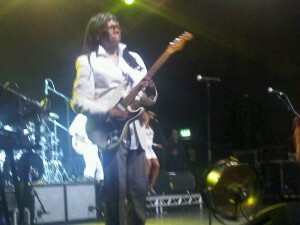 The photograph on the left is Nile Rodgers of the group Chic in full flow in concert a few years ago. The venues in London that I like to visit regularly include The Jazz Cafe(Camden), Hideaway (Streatham), Islington Assembly Halls (Islington) and Ronnie Scotts (Soho). I like to watch dance both ballet and hip hop. The photograph on the left is from Breakin Convention which is annual Hip Hop dance event that takes place at Sadlers Wells every May. 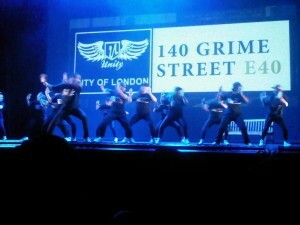 Dance crews from around the world come to perform. I find it fascinating seeing what the dancers can do with their bodies. Also as a massage therapist I do try to work out what injuries or repetitive strains they might get. It’s always fun to try new things. This photo was a taken at a “Non office party” put on for people like myself who are self employed as we tend to miss out the social activites that happen when you work in an office. 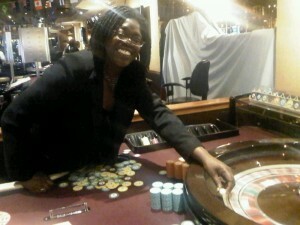 The party was held at a casino and we were taught how to play roulette. I do like to treat myself to the occasional Afternoon Tea with friends. 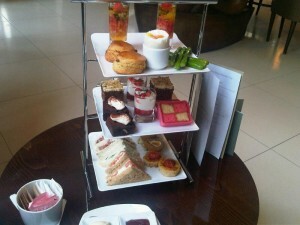 This particular Afternoon Tea was enjoyed last summer at One Aldwych in The Strand. There is no rush so we generally stay and talk for a few hours. I am definately due another visit very soon.